Changed the Trophy Bonuses in order to make them more interesting and usefull. I disliked the always repeating bonuses of the trophies so I switched them up a bit. I also increased a bit their strength as i felt 5% does not really do anything worthwhile. Some quests apparently give out the wrong trophies, which does make the trophy bonuses appear to be switched, which they technically are not. Just so you know where to find the other trophy with the other bonus. 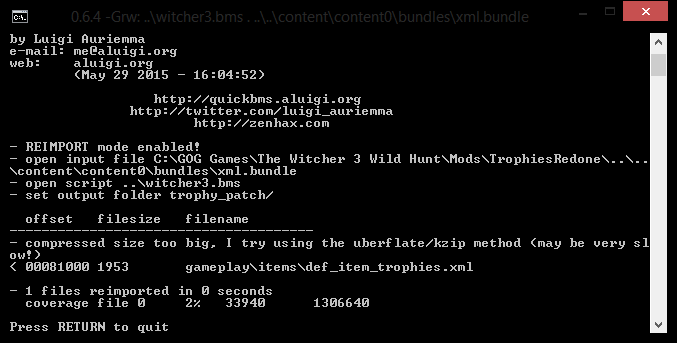 your local xml.bundle with the xml.bundle you can download here. Mod-Standardisation as suggested in this reddit post, is now available. Download the Optional File "Import Files" instead of the Main File in order to make use of it. For more information read the post, and also the link it contains to the base modding tutorial. There you can also get your quickbms related modding tools if you don’t have them already. 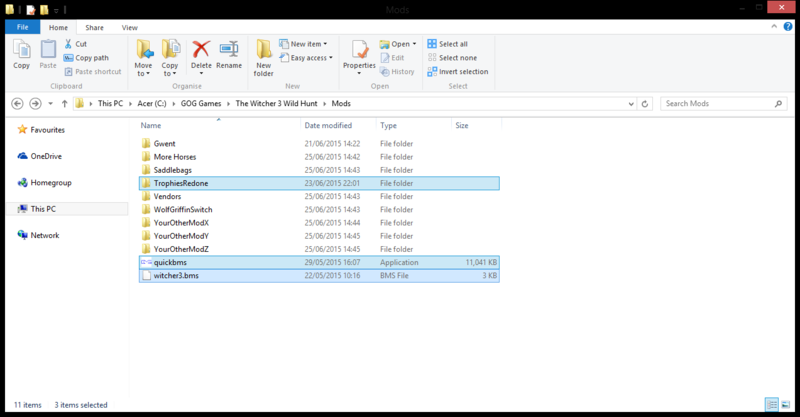 Create a "Mods" Folder in your "The Witcher 3 Wild Hunt" install directory. 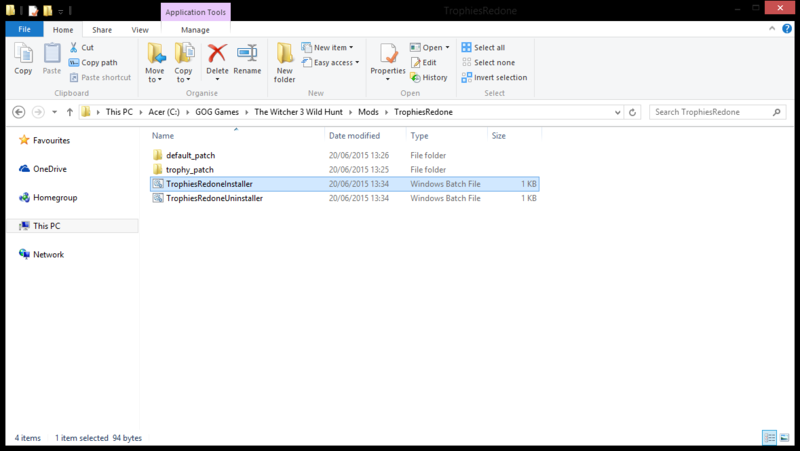 In this Folder put the extracted "TrophiesRedone" Folder among your other mods ,aswell as the quickbms.exe and the witcher3.bms. 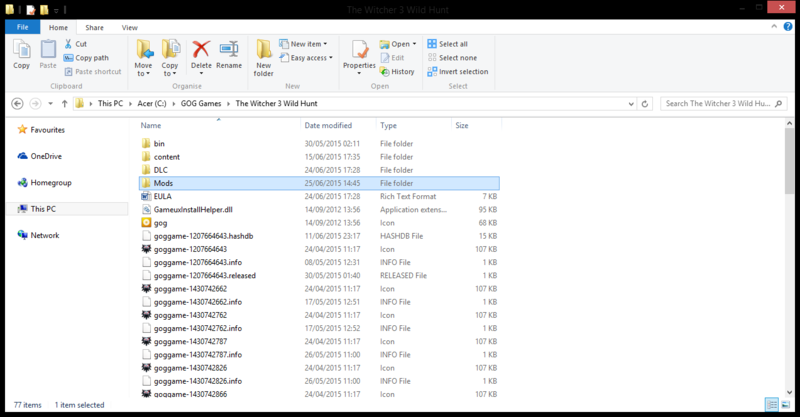 As mentioned in the post these tools are always the same and you only ever need a single up to date copy for all witcher mods, so if you have them already from some other mod or source you can continue using those. Open the "TrophiesRedone" Folder now and launch the TrophiesRedoneInstaller. To Uninstall just launch the uninstaller. certain Bonuses to be stronger or weaker -let me know. Doppler: Was 0.2 Armor Reduction (was supposed to be 20%), fixed now and gives 64 Armor Reduction. Removed all bonuses which would never work, or would only occasionally work. Switched and replaced bonuses in order to improve consistency within the mod and with the game lore. 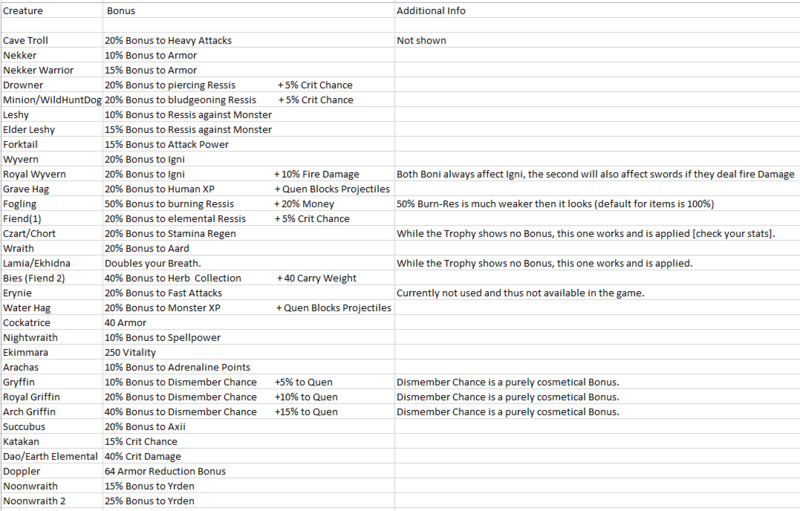 Changed Bonus Values to fit Values of already existing ingame items in order to be consistent, decreased them if they were to powerful, increased them if they were meaningless. Cave Troll: Was 20% XP Bonus to Monster Kills -- Now 20% Bonus to Heavy Attack. Drowned-Dead: It second Bonus (Crit Chance) was reduced from 10% to 5%. Minion / Wild Hunt Hound: It second Bonus (Crit Chance) was reduced from 10% to 5%. Fogling: Increased the Burning Ressistance Bonus from 10% to 50%. As it comes rarely ever to use ,and 10% does not really do much, t is also the reason why default game items usually carry 100% straight up immunity. I did not want to make those items obsolete so i choose 50%, which i think does have a significant effect in the rare cases in which it is useful ,but does not take away use from the items with burning immunity. Fiend: Added 5% Crit Chance to match the other trophies with ressis-bonuses to unimportant ressis. Lamia / Ekhidna: Was 20% Bonus to Queen -- Now doubles your breath. Bies: Added 40 max carry weight. Erynie: Was 20% Bonus to Axii -- Now 20% Bonus to Fast Attacks. Cockatrice: Reduced the Armor Bonus from 50 to 40. The 3 Gryffin Trophies: Exchanged the 5/10/15% returned Damage (which never ever returned anything), with 5/10/15% Bonus to Quen.